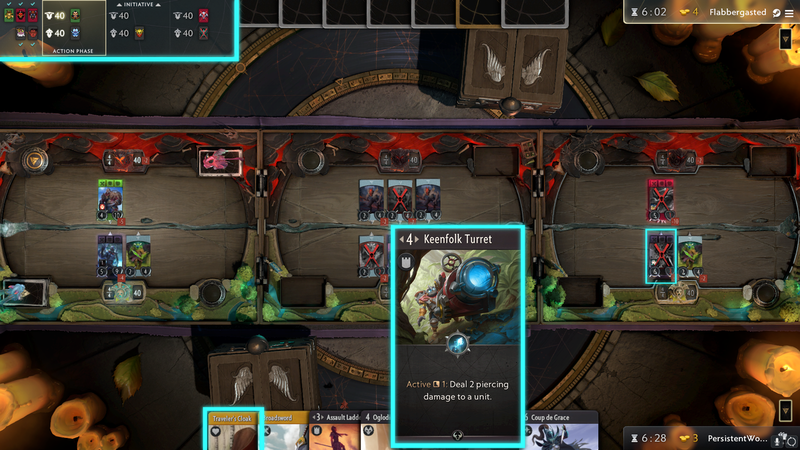 Artifact does a terrible job at explaining one of the most important elements of the game: Initiative. Initiative is hard to explain, fairly easy to understand, and incredibly important in controlling the future of the match. While it's more than possible to win matches without thinking about, or anticipating Initiative, understanding its value is key to long-term success. Simply put, Initiative is who plays their hand first. At the start of any match, one player is randomly chosen to have Initiative, before each player then takes it in turn to gain it, after their opponent plays a card. If I have it, and play a card, my opponent will then obtain Initiative. If they then choose to hold their hand, and not play a card (before ending their turn), they'll retain Initiative for the next lane. With the exception of playing key cards which allow you to instantly regain Initiative, Initiative can be permanently retained if youcontinually "pass", leading to entire matches where you're unable to wrestle control of a turn. This can prove particularly frustrating, especially if having Initiative might save your Hero, Tower, or the match entirely. Failing to control Initiative in the early game won't massively affect you, but it's imperative that towards the mid and late of any match that you try to wrestle control of it, in order to begin to bully multiple lanes. With Initiative persisting across all Lanes until it's relinquished by playing a card, looking ahead to adjacent lanes, in order to judge whether you need to be first in queue, is invaluable. Failing to secure Initiative, just for the sake of randomly playing a card, may severely hurt you on your next turn(s). In the below example, I don't have Initiative and my Phantom Assassin in the far right lane has very low health. With my opponent failing to have a Hero in the middle lane, ideally I need to gain Initiative in lane one to ensure that when play is held on the third lane, I can take an action to preserve my Hero. Fundamentally, if I don't have Initiative by the time play reaches the far right lane, it's highly likely that I'll lose control of it, or my Hero will die (not good when my opponent has 3 ready for deployment). With my opponent in control of Lycan, it's highly likely he'll play a card to strengthen his lane. It's at this moment that I could regain Initiative and retain it throughout lane two, up to three. 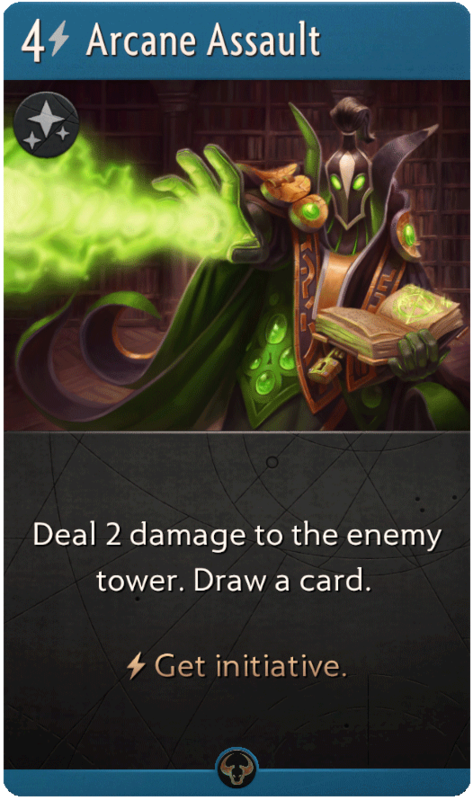 Alternatively, I could utilise the Keenfolk Turret as a reinforcement for my Phantom Assassin - forsaking Initiative - in order to hope that my opponent needs the Combat phase to force a fight (rather than the Active phase to use a Spell). Finally, were I to regain Initiative, I could hold all action until I reach my Phantom Assassin, at which point I'd equip her with a Traveler's Cloak in order to provide her with enough health (+4) to gaurentee her survival. Reading a match in this way, by regularly zooming out of the board and predicting what actions you can take, and what the enemy could do if you and/or they have Initiative, is often what results in a win or a loss. What you should be always thinking is: do I need Initiative on my next turn? If not, feel free to play a card. If you do, it might be worth holding your hand, especially if the current lane you're playing in isn't important. There are certain Spell cards that allow you to instantly gain Initiative once they're used. While there aren't many, and they typically revolve around Black and Red decks, they're incredibly valuable. 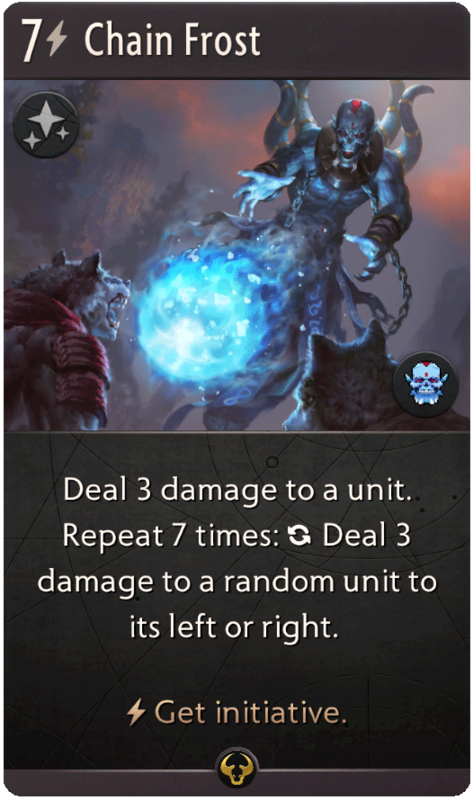 Not only because the cards tend to cause a powerful action, but it also provides you with valuable control upon the end of your turn. 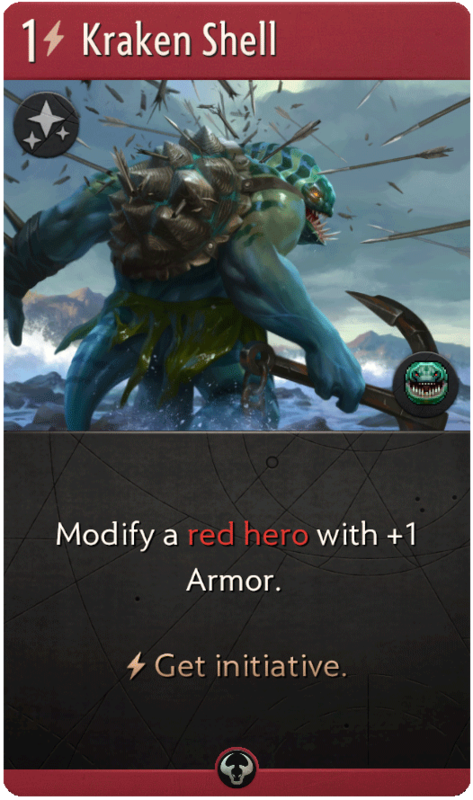 With some cards such as Hip Shot dealing high impact damage (often enough to kill a softened Hero), it can often set you up for a successful round of damage across all lanes, and at times allowing you to preserve your own Hero, or take the scalp of another in the next lane. The current list of cards which grant Initiative are listed below. 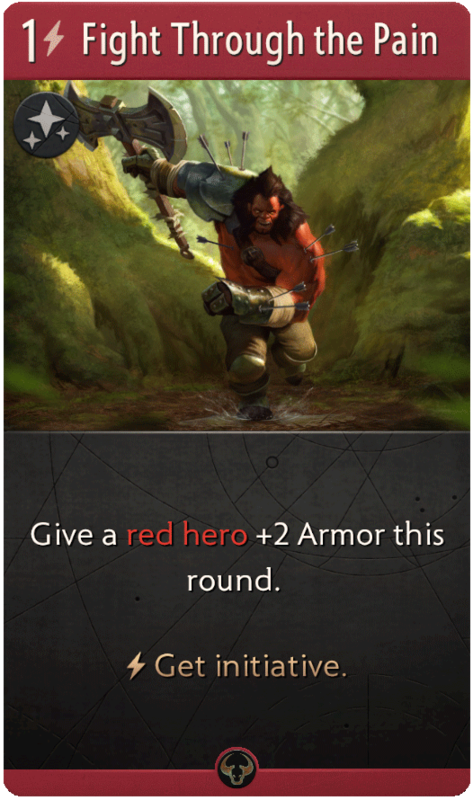 As noted earlier, you can play and win in Artifact without ever worrying about Initiative. Understanding of it, use of it and its value comes with practice and significant experience of the game. The best advice I can give is to always look to see if you have Initiative, and if you don't, have a quick look to see if A) You really need to play a card, and B) If you really could do with playing first in the adjacent lanes. If you need control, don't feel you have to play a card. Asking yourself these questions won't always gaurentee you gain Initiaitive - unless you use one of the above cards - at least you'll be in a better position to obtain it.